January 2015 Horoscope for Capricorn zodiac sign predicts that personal interest and ambition will dominate during the month. All matters personal such as achievement, appearance and looks, satisfaction will be on the agenda during the month. Family and domestic issues along with spirituality will be in focus for the Goats. Your planetary alignments will help you in enhancing your attractiveness and outlook. Lot of effort goes in looking your best. You will invest time and money to dress yourself well and look graceful. The Capricorn career predictions for January 2015 foretell that the middle of the month is favorable for completing the existing projects and rest of the month may be good for commencing new ventures. 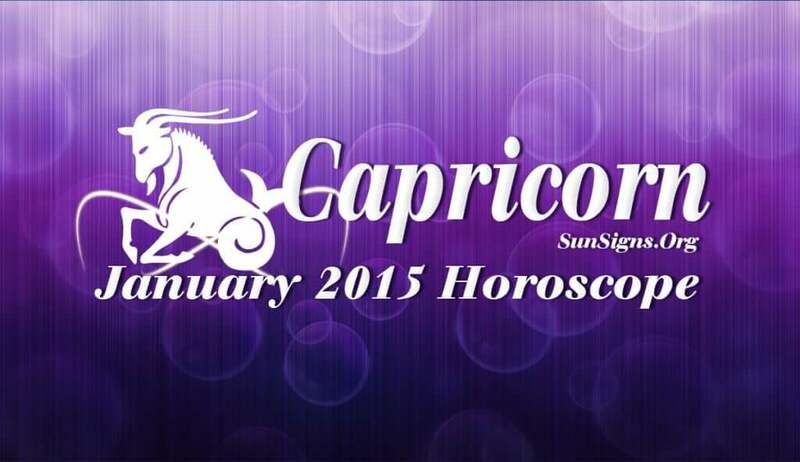 The Capricorn 2015 January forecasts predict a superb flow of money without much effort. All old loans will be cleared and there will be many opportunities to improve your finances. Sales promotion and marketing will boost your monetary position. Love life will be fantastic for the Capricorn zodiac sign and you will be able to find romance in social gatherings. It may also help you to accomplish your financial objectives. Family relationships and committed love affairs may face rough weather. All good partnerships will survive while weak ones will end in separation. This is the time to review your relationships before taking serious decisions. It might be better not to plan to have children in this month. The Capricorn horoscope January 2015 predicts that your health can be maintained this month if you eat healthy food and keep fit by practicing yoga or with regular walking or jogging.